Many people are unaware that we are in the midst of an autoimmune epidemic. While there can be a genetic predisposition to developing an autoimmune disorder, most cutting-edge doctors know that DNA is not destiny, and that environmental triggers are necessary for causing and fanning the flames of the disease. All autoimmune diseases wax and wane in severity, and some can go into remission for long periods, so there are obviously changes going on in the body that contribute to the severity of the disease, and to the flare-ups. In integrative medicine, we get to the root cause of the environmental triggers which cause the flare-ups and thereby prevent further damage, with as little toxic medication as possible. Once the immune system starts to attack a tissue in the body, it will eventually destroy that tissue, so it is important to intervene as soon as possible to prevent further damage. 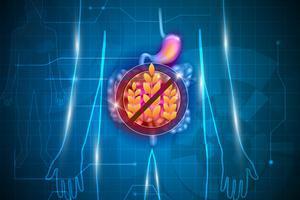 A major source of autoimmune disease is found in the GI tract. Patients with autoimmunity often have what is called a “leaky gut” which causes molecules from the GI tract to leak into the bloodstream which irritates the immune system and can trigger auto-antibodies. In a patient with autoimmunity, it is important to test the stool and food intolerances to find potential causes of leaky gut, such as yeast overgrowth, parasitic infections, improper bacterial balance, food intolerances – especially gluten – and more. These issues can be treated and the GI tract can be healed, which helps calm down the entire immune system from over-reacting to the self. Another autoimmune trigger that is common in today’s world is heavy metal toxicity. Metals such as lead and mercury are serious toxins, and they weaken and damage the immune system, poison the energy-producing mitochondria, and cause oxidative stress and inflammation, which lead to a whole cascade of problems, including autoimmunity and even cancer. Preventing exposure to further toxins by taking appropriate precautions – such as safely removing amalgam fillings by an IAOMT-qualified dentist, avoiding Thimerisol-containing vaccines (including the flu shot) whenever possible, avoiding eating the largest fish and farmed seafood, purifying your drinking water, eating organically – can all help lower your body burden of heavy metal toxins. However, once the toxins are stored in your tissues, it can take years for them to clear on their own. The fastest and most medically-proven way to remove heavy metals is to chelate them out. Chelation (pronounced “Key-Lay-Shun”) – also called heavy metal detoxification – is the process of taking certain medications that have a strong binding affinity for metals, thereby allowing them to be excreted out of our body by urine. Being deficient in certain nutrients, such as Vitamin D, can predispose to autoimmunity. Patients need to take enough D to get to a blood level of at least 60-80 to be helpful. Many other nutrients are also essential for maintaining optimal health. A full nutrition panel can be helpful in deciding what nutritional supplement regimen a patient may need. Chronic underlying infections have also been associated with triggering autoimmune disorders. Many people have underlying chronic viruses, protozoa, or bacteria (even Lyme) which can chronically irritate the immune system and eventually trigger an autoimmune disorder. Testing for and treating the underlying infections can be an important step in improving the condition. Even balancing your bioidentical hormones has a beneficial effect on your immune system. 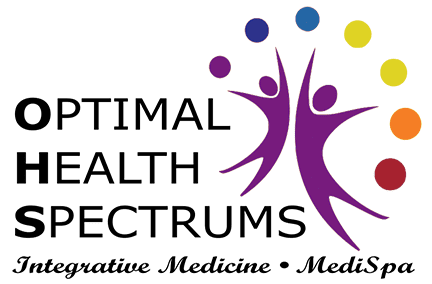 Overall, we try to help our autoimmune patients achieve optimal health without needing to take toxic immune-suppressing medications, whenever possible. A major benefit of this approach is that the patient is much healthier overall, and generally feels much better as a result.